The equipments of the Mathematics and General Science laboratory allow students to utilize the data gathered from the books and the material world, for developing pragmatic logic and rationale. 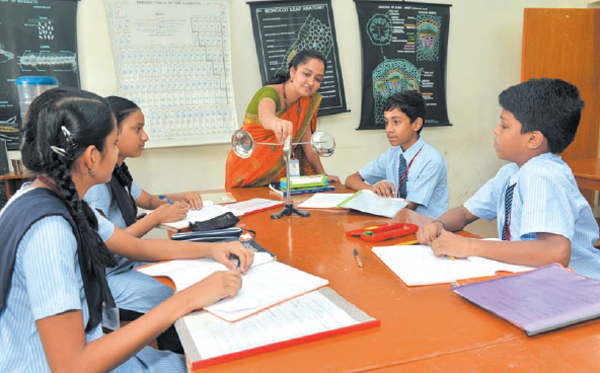 Students use different techniques to experiment and improve their knowledge in mathematics and science. They understand and internalize the basic concepts through concrete objects and situations. The practical experience builds interest and confidence in them to learn the subjects and to provide a scope for greater involvement of both the mind and the hand which facilitates cognition. The General Science Laboratory provides opportunities to exhibit the relatedness of science concepts with everyday life and thereby a greater scope for individual participation. In the process of learning, all students become autonomous learners. The laboratory allows and encourages the students, to think and assimilate the concepts in a more effective manner. Making scientific arguments, conducting experiments, reviewing them closely, developing logical reasoning and responding to analytical comments are some of the valuable skills that help in preparing the next generation scientists, engineers, and medical professionals. The Mathematics Laboratory helps the students to learn and explore mathematical concepts and verify mathematical facts and theorems through a variety of activities using student-friendly materials. These activities help the students to explore, to learn, to stimulate interest and to develop a favourable attitude towards mathematics. 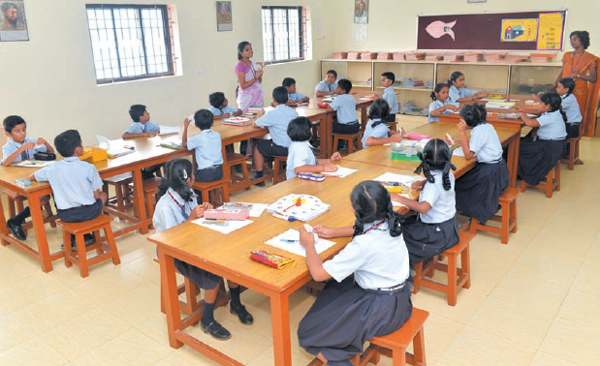 The students get rid of the phobia of numbers and the authentic learning through hands-on-experience, creates in them an interest for the subject. The central, integral and sacred Science Laboratories facilitate the easy learning of the three natural sciences - physics, chemistry and biology. The science concerned with matter and energy, the study of properties and reactions of matter and the research on life and living organisms are at the easy reach of the students in the Physics, Chemistry and Biology laboratories. 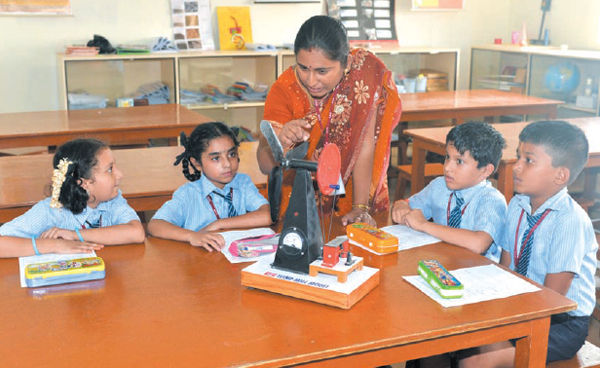 Ultra-modern quality equipments, in a safe environment, not only promote the lateral thinking of the students but also exponentially increase their inquisitiveness to investigate.